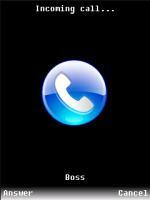 Fake Call VVS - the program will make a fictitious call to your phone at a certain time. Enough set the time and caller''s name or number. At the right time for your phone to do a fake call.